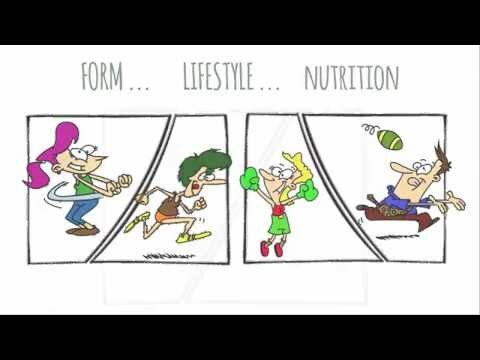 Watch This Video to See How a Personal Trainer Can Help You! Get Your First Workout Session for Only $5! That’s Right! Only $5 gets you started on your new body today! This special promotion will end soon. Getting in Shape is Hard Work. But it Doesn’t Have to be Hard! Most people think that exercising/training and eating right is too hard. So they don’t even get started. Discover the joys of how incredibly great you’ll feel when you learn how to properly train and exercise. The only regret you’ll have is that you didn’t start sooner. Get Professional Training From a Qualified, Experienced Pro! Get concrete, measurable goals – set specifically for YOU! Get the individual attention that you deserve. Lose Weight & Feel Great… So DON’T WAIT! Learn the Right Way to Exercise & Get in the Greatest Shape of Your Life with one of the DC Area's Best Personal Trainers! Get Your First Training Session for Only $5.00! Confused about what to eat and how to exercise properly in order to get in shape? Tired of feeling tired all the time? Are you finally ready to feel confident wearing tight clothes? Do you need a 'little motivation' to make sure you do what you're supposed to do? Get Your First Training/Consultation Session for ONLY $5.00!! Just old school hard work that gets results. I train hard and train smart. I’m not a bodybuilder – I’m a body shaper, and I specialize in massively reshaping bodies to be lean, sleek, athletic and toned. Isn’t that the type of body you deserve to have? Listen, if you’re ready to see real results – the kind that can transform your life, I don’t want you wait until tomorrow. I want you to call me today! Together, we’ll start your journey toward a new, happier, healthier you! Personal Training | Personal Trainers in the Montgomery County, MD and surrounding areas. Attention: For a Limited Time, YOU Can Get Started for Only $5! That’s Right! Just $5 Gets You Your First Workout & Fitness Consultation! Discover the hidden science behind how to properly train & eat in order to get MAXIMUM Results in MINIMUM Time! This is an amazing, life-changing offer. But you must act fast! Get Fitness & Nutrition Tips from Mike! Jamila, Bethesda, MD I lost weight for my wedding! I started training with Mike Herman when I was 17 and I'm not exaggerating when I say that he has changed my life. I was an overweight teenager getting ready to head off to college when I first met Mike. I'd never really played sports and I didn't know a thing about what to eat. Call Us Now For Fast Results! Get Started on Your Life Goals. Do It Now for Only $5.00! Don't leave getting in shape & changing your life to chance & luck. For a limited time only, you'll Get a Qualified Pro to Help You for Only $5! Everybody hates Spam! Your Privacy is protected.